There are loops everywhere! I regret spending so much time maintaining my tips because now they’re too stiff to loop up. Probably not a good thing. 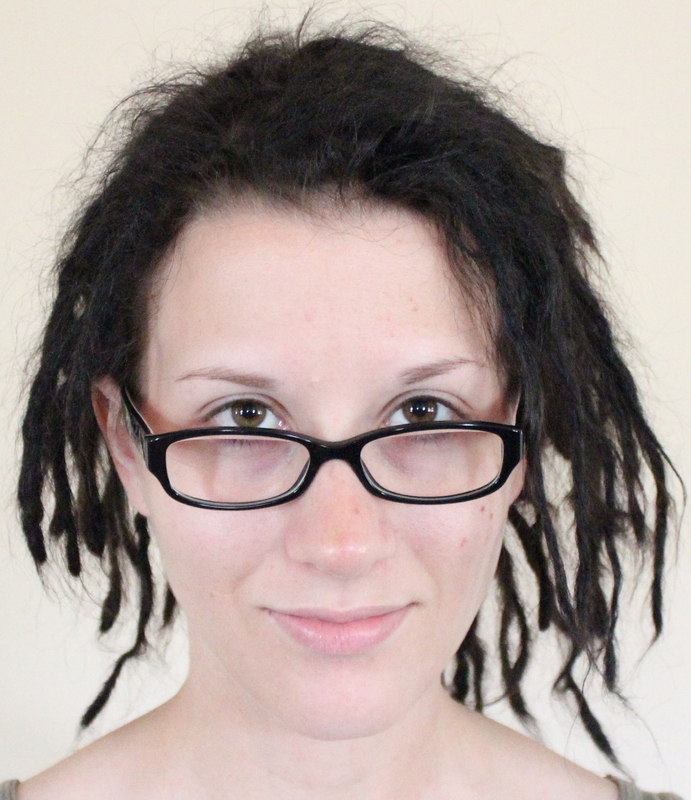 My roots are matting together a bit so my sections aren’t showing as much. Yay! My roots are also getting thick and loopy. I still leave it in a pony tail everyday, but I get compliments all the time, especially when I put beads in. 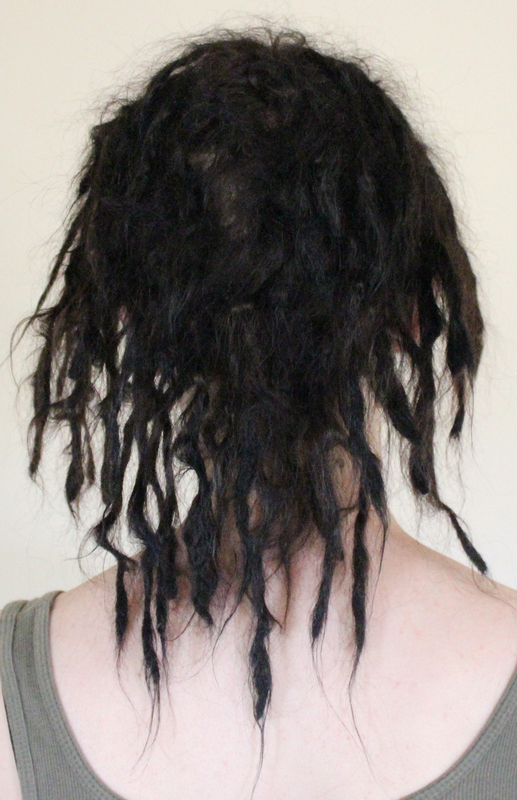 The same dread from the 1 month and 3 weeks post. Its name is Charlie as in Charlie Day because it’s the silliest.